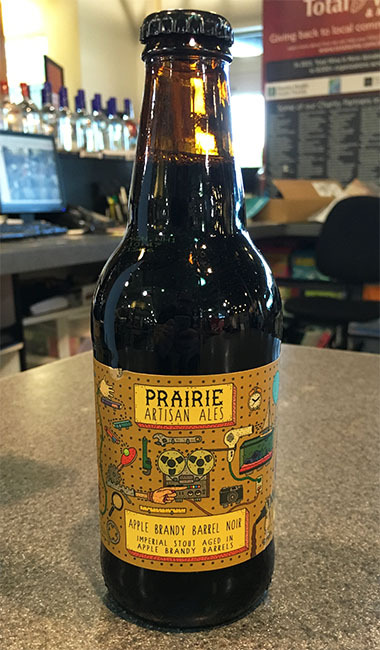 I was at my local Total Wine a couple of weeks ago, and on the counter near the front stood a small number of bottles of Prairie Artisan Ales’ 12 oz. Apple Brandy Barrel Noir, priced at $12 a pop. Very few 12 ounce beers cost that much, and a quick search revealed it’s very highly rated, so I decided to cut back on a few beers I was going to buy to justify this purchase. The Apple Brandy Barrel Noir is an imperial stout, which Prairie Artisan Ales recommends you sip slowly, or even stash some in a closet and let them age. Well, at $12 a bottle, I wasn’t going to age it. The ABV is a healthy 12% with 70 IBU. It pours dark with a small head of foam. I took their advice and sipped it slowly, like a good Belgian Quad beer. It’s boozy, especially at 12%, but the flavors still came through. 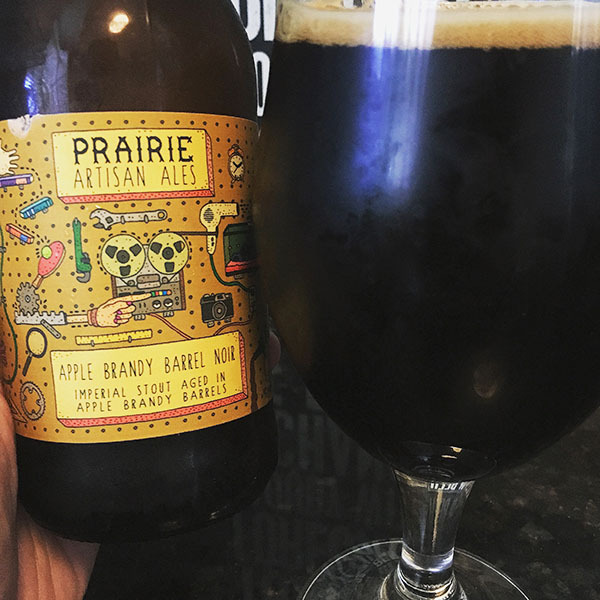 Sometimes with beer that high in alcohol content, all you taste is the booziness, but Prairie did a great job with this stout, aged in apple brandy barrels. I took my time drinking it, and it helped take the edge off a recent mediocre Miami Dolphins pre-season game. And like a quality Belgian Quad, as it warmed up a little, the flavors changed slightly, which is always welcoming. Highly recommend this beer, one of the best I’ve had in a while. But it’s pricey. I’m going to try other beers from Prairie, who are out of Tulsa, Oklahoma, but seem to have good distribution. A friend of mine said I need to try the Okie and the Bomb! Heck, I saw one of their Christmas Bomb 2015 beers at Total Wine, and it probably tastes even better.